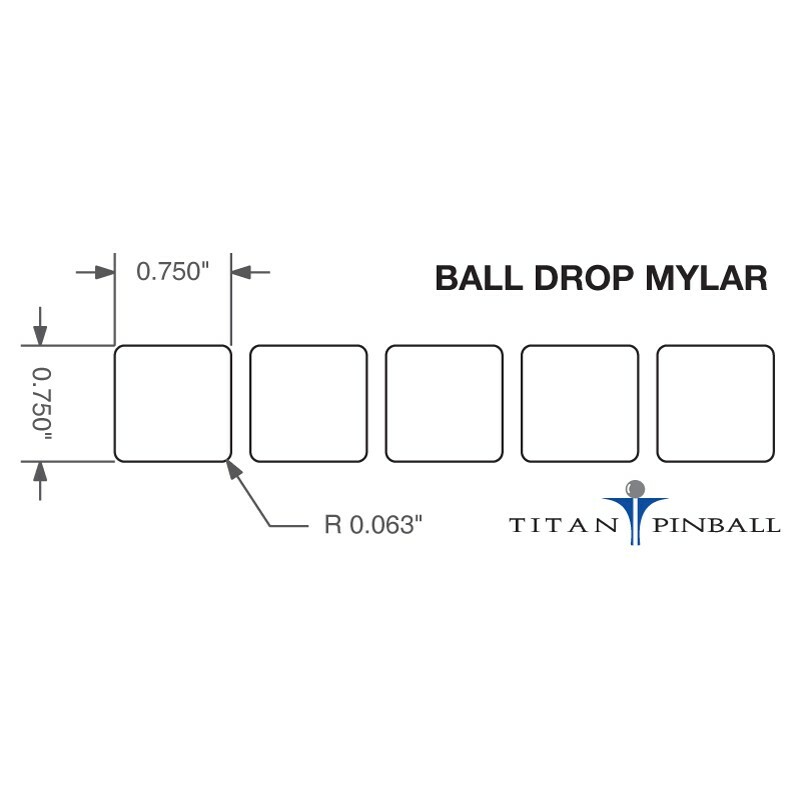 Ball Drop Mylar --- Please Select --- 3/4"
After cleaning and waxing your playfield, adding new Mylar to key areas can really save wear and tear on your playfield. 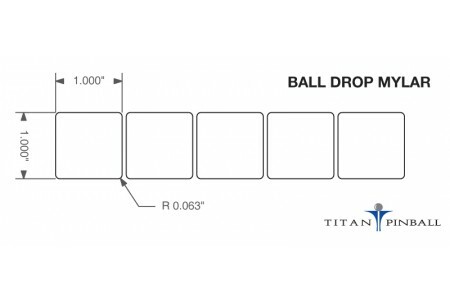 Our protective Mylar parts are made from 2 mil (.002") Flexcon crystal-clear polyester. This does include a permanent adhesive. We recommend waxing the area so that it can be removed without damage later. 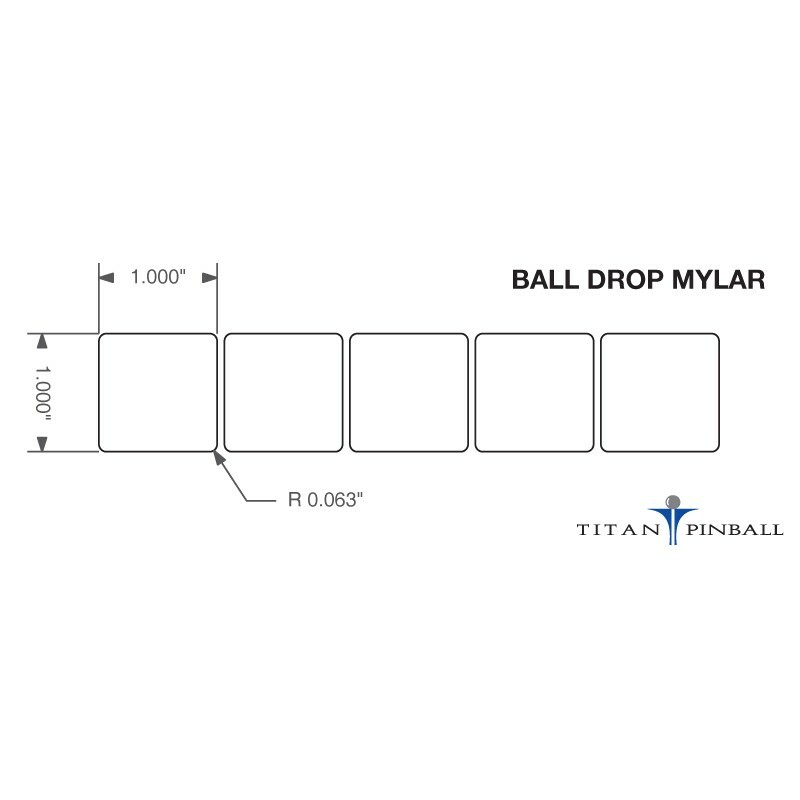 Price is for 5 squares, available in 1" or 3/4" with rounded corners.